In June 2018 Arkon Allied Container (AAC) was founded by Arkon Shipping together with the shipping companies Jüngerhans, Wessels, HS Schiffahrt, Nordic and Jebsen as well as the chartering specialists Ole Gabs and Wolfgang Klodwig. The objective of this foundation is to group the container feeder vessels of the shareholders to a large fleet, to jointly market the vessels and to optimize the cost structure of the chartering of the fleet. 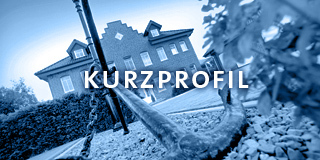 With the registered office of the company in Haren/Ems the operational office is the former Arkon office in Hamburg. Managing directors of AAC are Torsten Westphal, Ole Gabs and Wolfgang Klodwig. After the forehanded antitrust auditing was concluded without any objections, AAC started its operational business in August. In general, AAC is open for the acceptance of additional shareholders. The precondition for the admittance is to bring in further vessels that reasonably supplement the fleet. The fleet of HS Schiffahrt expanded with one further Multi-Purpose-Vessel! The MV “Josef” is the fourth sister vessel of the F-Type series. Same as the MV “Sophia” the vessel was built in 2011 with around 12.590 tdw. She is equipped with two cranes of a lifting capacity of each 180 mt. The charterer is dship Carriers Pte. Ltd. who will operate her in a worldwide trade. The HS-Team is sending herewith best wishes to the crew and to the vessel always a safe voyage! 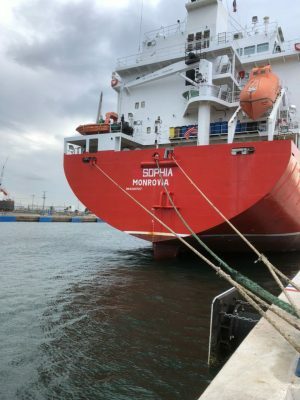 On the 05/04/2018 the multi-purpose vessel “Sophia” was taken over by HS Schiffahrt in cooperation with the deugro group. The “Sophia” is the third sister vessel of the F-Type series in the fleet of the shipping company. Build in 2011 the 12.590 tdw vessel is equipped with two cranes of each 180 mt carrying capacity. Charterer dship Carriers Pte. Ltd. will operate her worldwide. The HS-Team wishes the crew and the vessel always safe voyages! 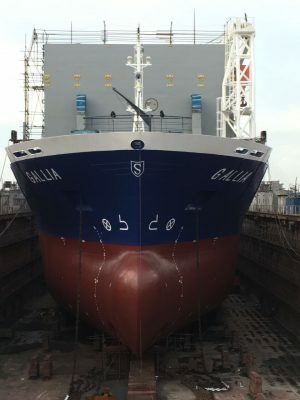 dship Carriers Pte.Ltd., charterer of the multi-purpose vessel “Gallia”, welcomed the vessel to their fleet. The video was made on her way through the Kiel-Canal and her call to Wismar in autumn 2017. We thank you for this video and are looking forward to this cooperation. The video can be seen under following Link. On the 05/07/2017 HS Schiffahrt purchased the MV “Gallia”. The sister vessel to the MV “BBC Kansas”, taken over in January this year, will go into service for the charterer dship Carriers Pte. Ltd. After completion of the class renewal in Shanghai. 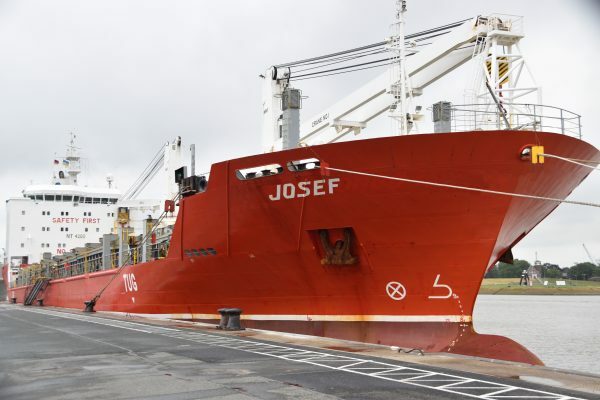 It is equipped with two cranes of 120 mt lifting capacity each and has 12.700 dwt. The crew of HS Schiffahrt wishes the Captain and his crew always safe voyages. 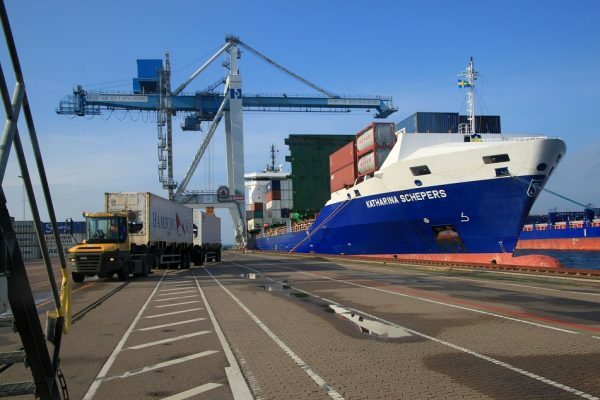 During their voyage with container-feeder “Katharina Schepers” our passengers took some pictures / videos which they now summarize in a video and a detailed report. One of them made a small video and uploaded it on his Youtube channel. The video can be seen under following link. The other one uploaded his travel report with many pictures taken during this trip on following page. 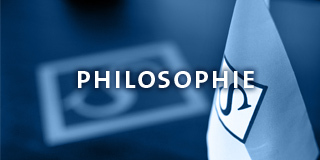 We thank them for their fine recordings and are glad that both enjoyed their time on board of “Katharina Schepers”. On Thursday, 09/03/2017, the containership “Heinz Schepers” rescued two fishermen from distress after their engine broke down. 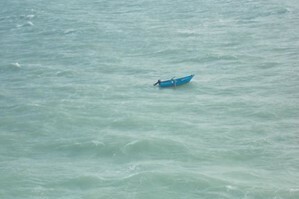 Due to bad weather and heavy pitching the fishing boat floated away from Tunisian coast. To that time MV “Heinz Schepers” was on anchorage waiting for berth in Rades. Both could safely be embarked and given first aid. 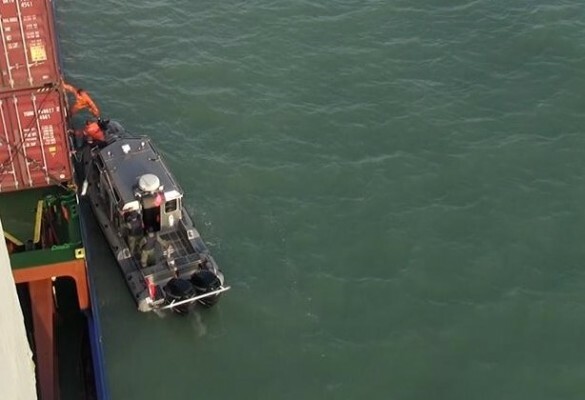 On the next morning both fishermen could be safely handed over to the Tunisian Coast Guard. 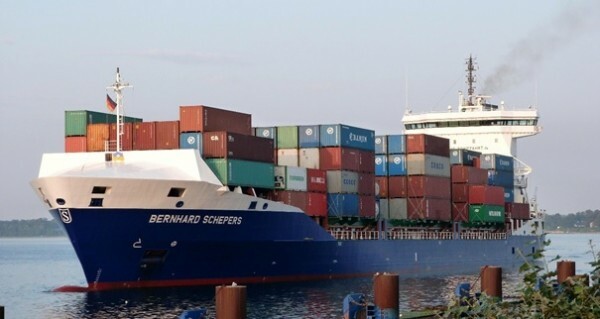 Last wednesday (01/02/2017) the containership “Bernhard Schepers” was on german TV. A team from the NDR attended the vessel on a trip through Kiel Canal to Brunsbüttel. The report can also be viewed on the Youtube channel from NDR (Link).